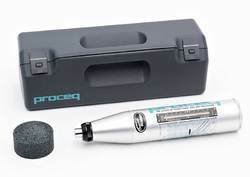 Offering you a complete choice of products which include ultrasonic pulse velocity meter, rebound hammer, rebar detection - profoscope, concrete test hammer, digital rebound hammer and rebar locator. 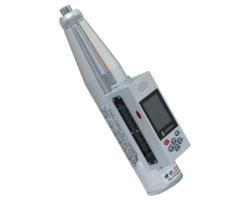 Our firm specializes in offering a distinct collection of Ultrasonic Pulse Velocity Meter India. To maintain industry standards, our vendors’ experts manufacture this velocity by making use of cutting edge technology and optimum quality components. Used for non-destructive determination quality of concrete, this velocity is appreciated in the market for their different features. Clients can avail this velocity from us at market leading prices. We are remarkable entity, engaged in offering high quality Rebound Hammer. The offered hammer is manufactured by our vendors’ experts in line with industry norms from quality tested components and sophisticated technology. Used for providing an accurate estimate of concrete compressive strength, this hammer is tested on different quality parameters by our experts. 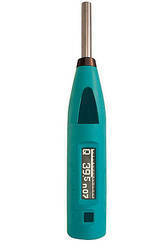 Moreover, this hammer is available in different sizes and specifications. 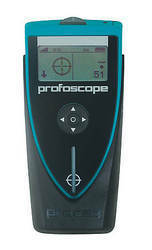 Being a highly effective, lean and fast-moving organization, we are highly instrumental in providing an extensive array of Rebar Detection - Profoscope. This is coupled with rebar-proximity indicators and optical and acoustical locating aids, offered detection is designed at vendors’ end using optimum quality raw materials and sophisticated technology. In line with set industry norms, this detection is rigorously tested by our quality examiners on varied parameters so as to ensure its reliability. 5. 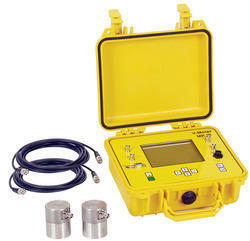 Easy to operate, the software set the upper and lower rebound values, the outliers can be automatically removed. Power source 3.7V/1500mAH rechargeable Li battery. Owing to a long-term destination for our business, we are engaged in offering a wide gamut of Rebar Locator. Available in different designs and sizes for our valuable clients, provided locator is used for testing the thickness of protective layers and measuring the diameter. Designed by our vendors’ experts; offered locator is manufactured at vendors’ end using the best quality raw materials and innovative technology. 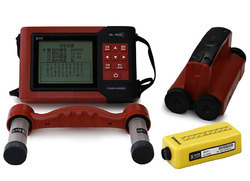 BL-R80 is a multi-functional integrated rebar detector which can be used for testing the thickness of protective layers, measuring the diameter, location, and distribution of rebar as well as for detecting the corrosion content of a rebar.